Growing your business can be a big challenge. If you’re starting a new business you’ll need all the help you can get. So think for a moment. If you need new clients, where are you going to get them? Do you have lots of money to spend on advertising? Where’s the business going to come from? Whether you have money to burn, or not, is not important. If you haven’t tapped into the internet market your missing the boat. Today just about everyone uses the internet to find and locate businesses and information. It’s time to stake your claim and be part of this growing resource. 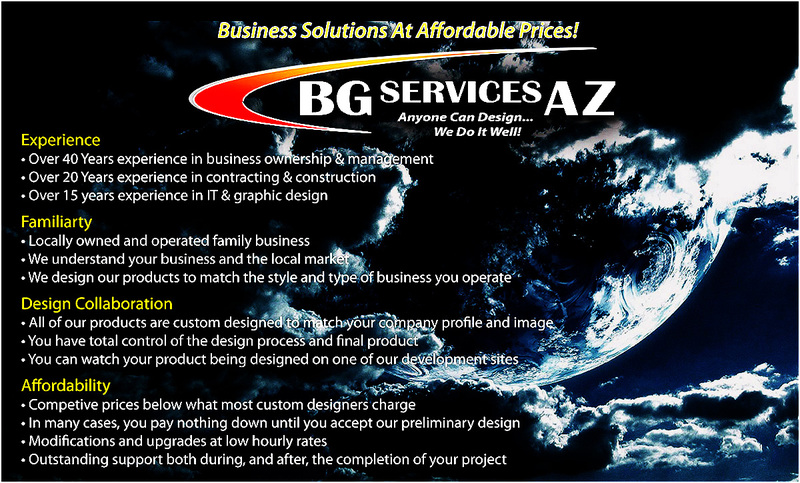 This is where BG Services AZ can help you immensely. If you already have a website that needs an update, or need a new website created for the first time, it has never been a better time to get things started. With new technologies and the hundreds of new devices being created every year that make it easier for consumers to access the internet, the upward trend of internet marketing is only going to grow. Our company can help you create a web presence that uses the latest in web design technologies. The Process: It's Not What We Do......It's How We Do It! Initial Consultation: During the initial consultation we’ll gather information about your business, it’s products or services. We recommend that you begin to collect pictures, graphics and create any text you want incorporated into your website. We're here to give you assistance in compiling these items if you need help. Branding: Develop a company brand for marketing your business. We can use your current business logo, modify your existing logo or create a totally new one for you. The company brand is the anchor for your entire website design. It’s theme will be carried out throughout the website. Preliminary Design: At this point we’ll create a custom banner and home page layout with sample content for your approval. We’ll also create a page structure and menu system that will be used in your final design. We’ll work with you to modify this design to make it meet your specifications. Page Content: Using pictures, graphics and text content supplied by you, we’ll complete the pages on your website. Optionally, we can use stock images and create the written text for you based on the information you gave us at the Initial Consultation. Content creation services by our company can be done for a nominal service charge. Project Completion: Your new website will be available for you to view on one of our development websites at all times during the design phase. We encourage our clients to visit the site frequently and send us comments, suggestions or changes as the site evolves. As we approach substantial completion of the project, we will transfer your new website to your existing domain URL. Once the design is completed we will work with you on final edits, additions or deletions. 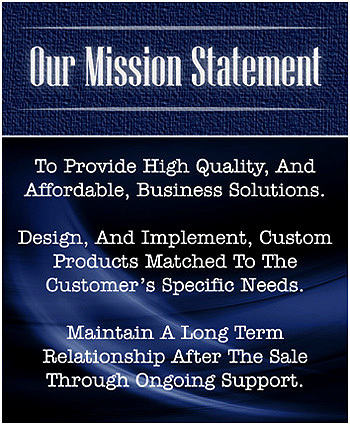 Customer Support: Our commitment to our clients does not end at completion of your project. We understand that, after completion, you need some time to evaluate the overall project. That is why, unlike most companies, we include an additional 30 days of free minor changes to existing text and graphics on your site at no additional charge. Any major changes will be done at a discounted hourly rate. Optional Services: We offer optional SEO and Website Maintenance packages for all of our designs. We will discuss these options with you during the Initial Consultations and give you our recommendations on a package that best suits your needs and falls within your marketing budget. Thank you for considering BG Services AZ for your project.